GASP Records announces the release of For Kounellis, an extraordinary CD that features meditative, evocative electronic music created for a performance on Mount Vesuvius, Naples. The music draws on Leonard’s association with top-shelf artists including Marshall Allen, Joanne Brackeen, Don Byron, Richard Devine, Bill Frisell, Vijay Iyer, Rudresh Mahanthappa, Phill Niblock, Robin Rimbaud aka Scanner and Evan Ziporyn. Leonard's exciting and unconventional work is known widely through three decades of collaborations with visual artists featured by the Museum of Modern Art, Guggenheim Museum, Whitney Museum and Venice Biennale. For Kounellis is a meditative, evocative electronic work featuring samples from Jannis Kounellis' sculpture, voice, live electronics and soprano saxophone. The sounds are based on Kounellis' untitled installation comprising 23 large church bells that Leonard recorded at the environmental sculpture park, La Marrana di Montemarcello in Italy. "The bells appear to spiral out from a cylindrical chamber rooted in the Earth’s core. I was struck by the intensity of this chorus of silent tongues, facing the sky and projecting a colossal resonance that is felt but is not heard. Like Kounellis’ inverted bells, Vesuvius’ mouth is a sonic hallmark of local history. Both face the sky, and suggest a tremendous capacity to transform the environment." A highlight of the CD is the voice of local Vesuvian singer Alessia de Capua. “I processed and wove her voice thick choral textures that are intended to have the haunting, ancient quality suggested by both Kounellis installation of silent bells and the ominous volcano on which we premiered the piece. Alessia was new to this work but she instinctively knew how to create the atmosphere needed. Her voice became the sound of her native Vesuvian landscape.” The results are a unique combination of processed sound and acoustic performance that defies categorization. The music was performed at Music Acoustica in Beijing, China; Nuits Sonores Festival in Lyon, France; and Museo Nacional de Bellas Artes, Havana, Cuba before this studio realization. 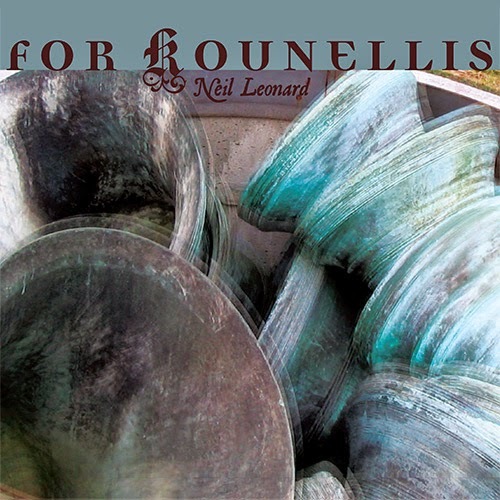 For Kounellis, is available on CD for the first time here. The CD’s single track, For Kounellis creates an episodic journey that segues from ethereal resonance of processed bells, enchanting choral textures, slow paced hypnotic grooves and searing soprano saxophone solos creating a new music for 21st century listeners. "Mr. Leonard creates a haunting, rhythmic, chantlike score, secular spiritual music for a New World. After leaving the gallery I kept hearing it, with delight, in my head, on the street, all afternoon." 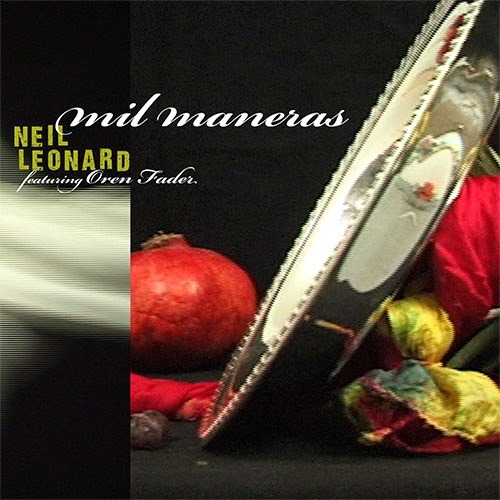 GASP Records announces the release of Mil Maneras by composer/electronic musician Neil Leonard. This extraordinary EP features hypnotic grooves, ethereal electronic sounds and performances by virtuoso guitarist Oren Fader. The music draws on Leonard’s association with top-shelf artists including Marshall Allen, Joanne Brackeen, Don Byron, Richard Devine, Bill Frisell, Vijay Iyer, Rudresh Mahanthappa, Phill Niblock, Robin Rimbaud aka Scanner and Evan Ziporyn. Mil Maneras showcases the work that Leonard developed when he broke with musical convention and began collaborating with visual artists thirty years ago. These pieces are known widely through exhibitions and performances at the Museum of Modern Art, Whitney Museum, Guggenheim Museum and Venice Biennale. Interiority is a highly evocative miniature suite created for a permanent installation on an Italian mountaintop. The work comprises a nocturnal experience in which visitors encounter a constellation of orbs that display video imagery, project electronic sound and reveal illuminated inscriptions. “The sound is inspired by paintings in the Etruscan necropolis in Tarquinia where frescos depict the afterlife as a vibrant and seductive continuation of our present existence. I created subtle and varied sonic textures to maintain the allure for the local population who will experience the piece for years to come." Mil Maneras concludes with the blast-furnace strength performance by Oren Fader on Vitrales. “The piece combines the montunos and drumming of timba bands that I heard in Cuba with extended approaches to jazz composition introduced to me by George Russell. Parts of the piece were drafted using computer programs that I designed but the final version was made by hand, often with the guitar in my lap to feel how fingers dance.” Vitrales creates a mosaic of unique rhythms, intricate counterpoint and shimmering harmonies to create a new music for 21st Century listeners.